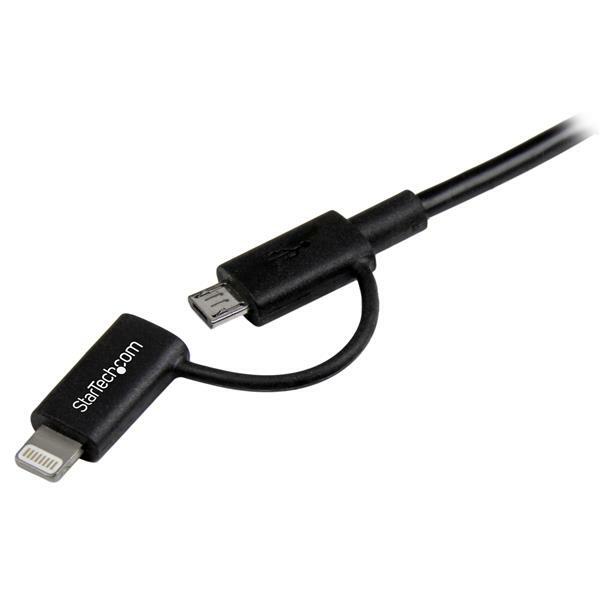 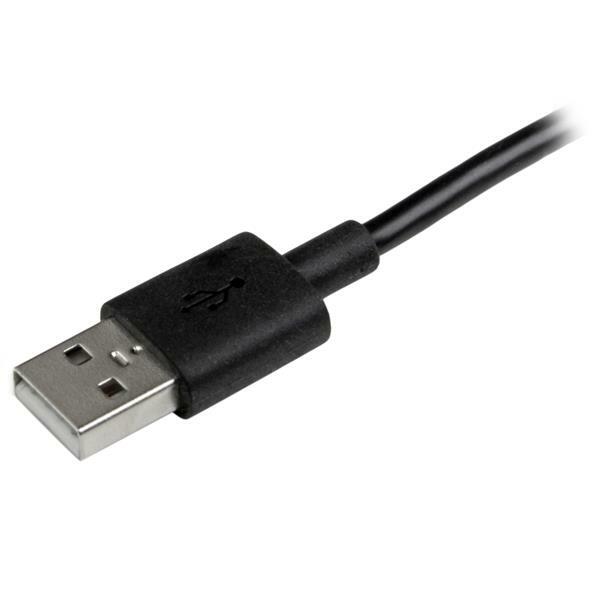 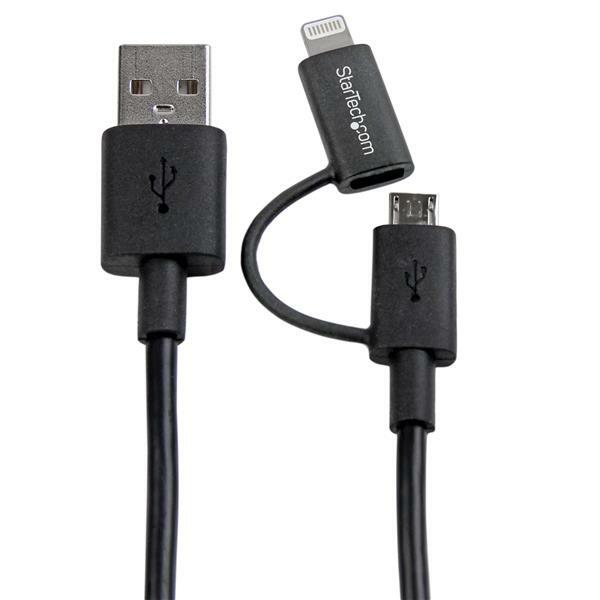 This convenient 2-in-1 cable lets you charge and sync either your Apple® Lightning equipped devices or your Android™ mobile devices, through an available USB port on your PC or Mac computer. 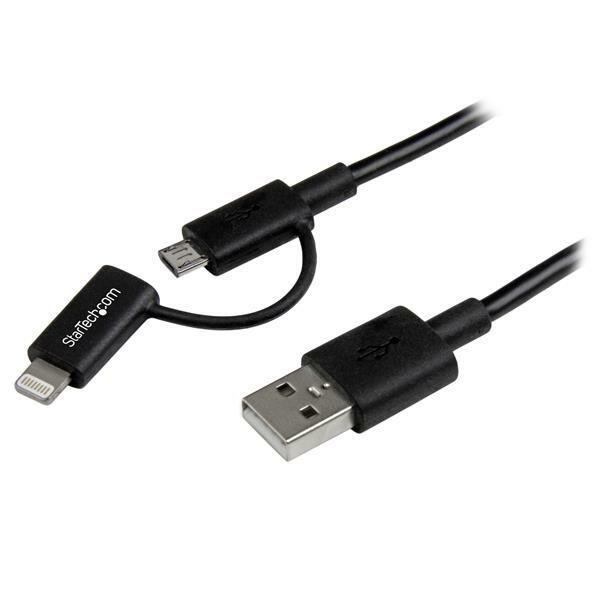 Offering both a Lightning connector for your iPhone®, iPod® or iPad® and a Micro USB connector for your Android phone or tablet, this is the perfect cable for all your mobile charging needs. 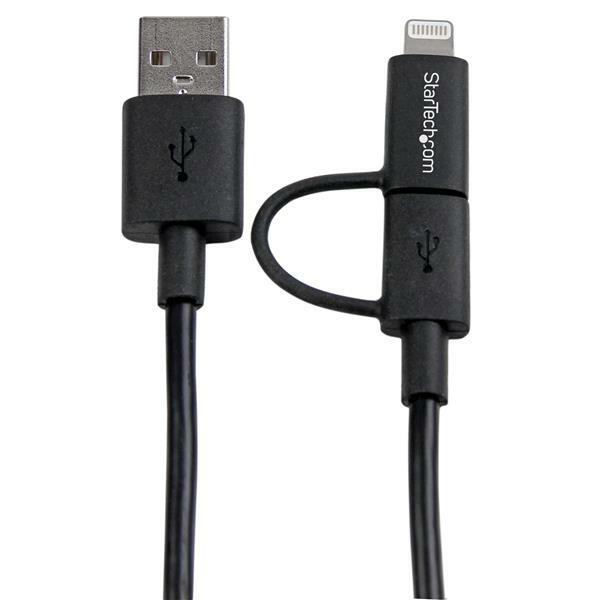 The LTUB1MBK black 2-in-1 charge-and-sync cable is Apple MFi certified and backed by StarTech.com's 2-year Warranty to ensure dependable performance.